Across the world the need for the internet has been growing so much. Many people are still in need of the web for various functions that define their normal interaction, learning and provision of necessary services. For many researchers who are traveling to the deepest regions of the earth with almost zero connection, relaying their findings in real time is hampered and all their work and crucial findings could be lost if their storage equipment is lost or damaged. They are always at a disadvantage yet at home the internet and better connectivity makes interaction with various stakeholders much easier. Across the third world countries connection in the remotest of regions is virtually impossible, especially in the area of the internet. The web has brought people together and making the planet one big village. Lack of proper connection essentially denies so many people the chance to interact, learn, have fun and engage in better business opportunities. It is not just in developed nations where people are turning in droves towards working from home as a result of the development of the internet. Lots of people in different territories are highly in need of reliable internet connection that makes sure they have been able to lower the staggering global unemployment levels. However, this is virtually impossible as a result of lack of connection to most remote areas. If you dial up has messed you up and DSL and capable are a reserve for those living in the city, you will find there are much better alternatives able to give exactly what you have been looking for. Internet via satellite is here to stay and currently the best way to connect the remotest regions on the face of the earth. Even those travelling today look at satellite via the internet as the best way of transmitting their information, including live pictures to ensure all they have been working on has not been destroyed in their expeditions. The reliability of a connection means that you must be assured your music downloads, videos, movies, files and software tools are accessible as fast as possible without the connection breaking or being affected when you highly need the content. Internet via satellite means you get the connectivity whenever you need to use it and if you have an organization, it is the best connection medium. For an organization, the dependency on terrestrial network availability is not there, meaning operations are not limited by anything. Employees are able to work as a team effectively no matter where they are located in turn boosting the productivity and reducing the costs. Also, organizations and individuals operating in remote sites will be fully provided with the internet, whether in their mobile platforms or PCs. That way, the services at a remote site are highly enhanced helping in strengthening the customer relationship. As a result of the ability to have customer applications working fine and rolled out easily and rapidly, competitive advantage is boosted. 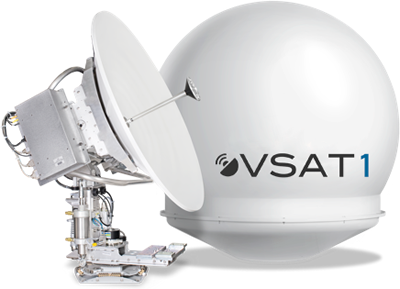 In fact, with the satellite internet, it is possible to use it in parallel with other terrestrial connections towards improving the resilience of a network for most of the key applications in place. Mark is a blogger from South Africa who has been blogging on technology since last 5 years. He recently blogged about internet via satellite and how it can provide Internet connection to Remote areas.